Every year, there are about six million car accidents in the United States. This, according to the United States Department of Justice, is one of the most common types of personal injury cases (at 52%), with medical malpractice (15%) and product liability (5%) in second and third place. If you've been in a car accident or have a loved one who was in a car accident and were seriously injured, you may be able to seek recompense for your injuries, medical bills, and time away from work. In these cases, seeking a car accident attorney is the way to go -- you'll definitely want an expert on your side. We'll discuss what to do after a car accident, when you need an attorney, and why it's beneficial to have a good car accident attorney on your side. If you're able, you should gather the necessary information to contact the other party's insurance company. Though the party at fault is technically supposed to contact their insurance company, for obvious reasons, they often drag their feet doing so. Take pictures of the accident scene and get the other driver's contact information, insurance name and policy information, and if possible, statements and contact information from others in the area, if they've stopped to help. 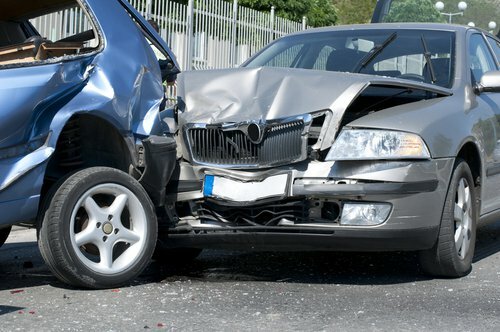 Let the other driver's insurer know there has been an accident, but only give them the facts -- do not provide any other information regarding who is at fault, and so forth. Less is more. And, of course, you should also be in touch with your insurance company as well, to notify them of the crash. Hopefully, things can be resolved quickly, but if you find yourself moving into legal proceedings, it's wise to start looking up names and numbers for reputable car accident attorneys in your area. When Do I Need a Car Accident Attorney? Most attorneys agree that after you receive the necessary medical care, you should seek out an attorney immediately, regardless of the severity of your injuries. You want them on hand to help negotiate with the insurance companies who are, as part of their jobs, figuring out how to devalue your claim. An experienced attorney can help level that playing field and help you answer questions, fill out the necessary paperwork, and ensure that you meet filing deadlines. So though you may be tempted to hold off and see how things shake out, most the legal experts agree -- you want to get an attorney on your side right away. The insurance companies won't wait, so neither should you. After all, you deserve compensation for the accident, especially if it's a severe one that threatens your ability to return to work or forces you to take time off to recover. And too, proper compensation can help repair or replace your vehicle, if that's necessary. Most attorneys will offer a free consultation, so don't be shy about talking to a few different attorneys. In fact, that's the best way to go, to get a good sense of who might be the best fit to represent you. Why Should I Retain a Car Accident Attorney? First of all, they'll know how to match your insurance company and answer competently, without giving too much information away that could damage your claim. Adjusters are trained to ask specific questions that get more information out of you than you intended to give; an attorney can thwart this and deal with the company on your behalf. An attorney will also know what your state's deadline to file personal injury claims, how to gather evidence to bolster your case, handle paperwork and red tape that inevitably crops up with ease, and help you recoup your losses. They can also give you peace of mind -- a car accident can be a traumatic event and by handling these matters, it gives you time to heal and process the events. The bottom line is that if you've been in a car accident, you shouldn't delay in finding a car accident attorney to represent you.